After Bunnai Saito completed his post doctorial research at Massachusetts Institute of Technology (MIT) in 2008, he had a choice: to start his scientific career in academia or in business. He chose the latter, and, more specifically, he chose Takeda. “Takeda is the most famous pharmaceutical company in Japan,” he shares. “My supervisor strongly recommended Takeda to me because there were so many competent chemists already working there. He told me I would learn a lot working there.” And many years later, Bunnai continues to be happy about his decision to join Takeda and the impact his work has on people around the world. Bunnai joined the company as a medicinal chemist in Osaka and Tsukuba, Japan, before moving to Shōnan, Japan, to work at Takeda’s Shonan Research Center. This journey has opened many doors for him. 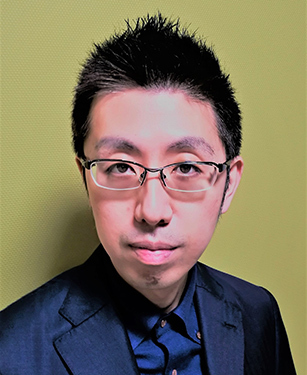 For two years, this role enabled him to also collaborate with the University of Tokyo as a principal scientist and in 2017, Bunnai became the Associate Director of Drug Discovery Chemistry Laboratories, where he is leading a team of our chemists for the Regenerative Medicine Unit. One of the vital ways Bunnai has contributed to better patients’ health is through his drug research. Currently, he is hard at work on the T-CiRA program. This fascinating joint venture program is a partnership between Takeda and the Center for iPS Research and Application (CiRA) at Kyoto University. The center is led by Nobel Prize-winning stem cell researcher, Professor Shinya Yamanaka. T-CiRA program is housed at a newly evolved ecosystem for health innovation called Shonan Health Innovation Park, where Takeda's Shonan Research Center also resides, as well as many other bio ventures. Focused on drug discovery projects involving regenerative medicine using iPS cell technology, T-CiRA aims to develop innovative drugs and cell treatments in areas such as heart failure, diabetes mellitus, neuro-psychiatric disorders, cancer and intractable muscle diseases. “It is exciting for me to be able to contribute to T-CiRA as a chemist, where state-of-the-art science is being done.” In addition to finding fulfillment from his work, Bunnai is very happy working with other researchers at Takeda, and those outside the business. The opportunity to keep growing his career and having a connection to academia inspires him to do great work, each and every day.